Making it’s Nintendo Switch debut, OlliOlli mixes addictive one-life gameplay with over 120 tricks and grinds to pull across 50 deviously crafted Levels, 250 Challenges, Spots Mode and Daily Grind. Not enough for you? Complete all Challenges to unlock the super skilful RAD Mode! Rack up the biggest and coolest combos along the way then time your landing to perfection to rule the Leaderboards. The iconic skater goes all green-screen with a stunning new look in OlliOlli2: Welcome to Olliwood, plucking you from the street and dropping you squarely in the middle of the big screen’s most bodacious cinematic locations! The sequel boasts all new Ramps and Epic Hills allowing for monster air and multi-route levels. 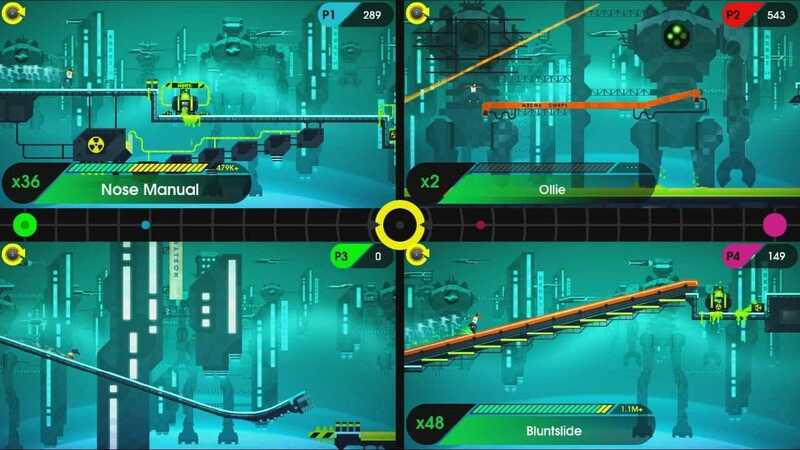 Further, OlliOlli2’s combo system has been expanded. The joy of Manuals, Reverts, Revert Manuals and Grind Switching gives you more control and expression than ever before. The hallowed ‘Tricktionary’ also expands with new specials including 540 Shove-its, Anti-Casper Flips and Darkslides. All of this with another 5 unique worlds, 50 Levels and 250 Challenges to tear through. Daily Grind, Spots Mode and RAD Mode also make a return to top it all off! Copyright © 2014 - 2019 SocksCap64, All Rights Reserved. Logos, Trademarks, Pictures Belongs To Their Respected Owners. Powered By WordPress. 103 Queries in 0.821 seconds.